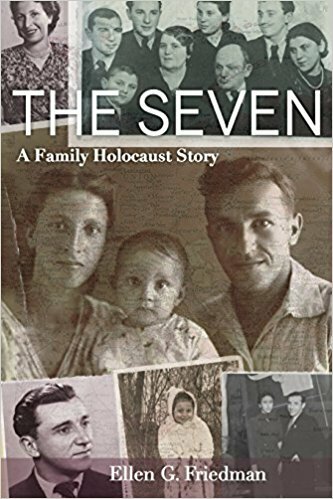 The Seven, A Family Holocaust Story by Ellen G. Friedman, Wayne State University Press, 2017, 280 pp. The Whole Megillah (TWM): What were your greatest challenges in writing The Seven? 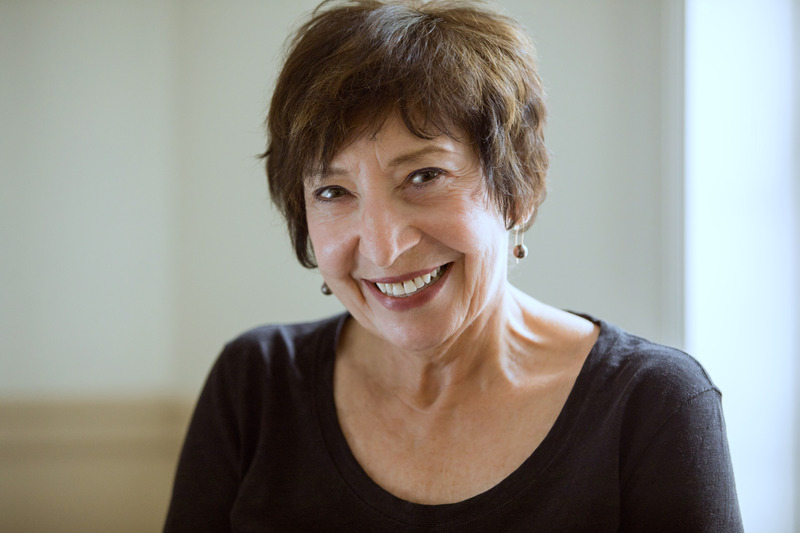 Ellen G. Friedman (EGF): I’d like to thank you for inviting me on your wonderful blog. The Seven, A Family Holocaust Story is an account of my family during the Holocaust. I had been interviewing family members since 1985, some of them multiple times. I thought of it as my “last” book—an end of career project. Time has a way of taking you there before you expect it, however. My family members began to die off, and I was not getting any younger, so in the last few years, I just started writing. The delay in writing the book really had not much to do with the end of my career. It had to do with the story I could tell. My memoir is kind of badass. I do not sugarcoat the characters or events in it. It’s a tone I could not have taken while they were alive. Even so, I was nervous about how the children and grandchildren would feel about my characterization of their parents and grandparents. In the end, I changed names and some locations. That was the emotional challenge. I was also determined not to tell the usual Holocaust story in which survivors are viewed through rose-colored glasses. I wanted to accord them the dignity of their full humanity, warts and all. Another challenge was the lack of information on or other accounts of this population of Holocaust survivors. As soon as one says “Holocaust,” death camps and concentration camps come to mind. But my story is a different story of the Holocaust. The Polish Jews who survived the Holocaust were saved in the Soviet Union. Once they crossed into the USSR, Stalin banished them to remote prison camps and as a result, many of them survived. Their suffering was enormous, but compared to the camps, they had landed in paradise. Ninety percent of Polish Jews were murdered in the Holocaust. The ten percent who survived did it in Stalin’s USSR. The Seven finally tells that story. When my memoir was published, it was one of the very few that told that story. Perhaps the biggest challenge for me was my relationship to this story that I was telling yet was not based on my own experience. It was based on experiences that I had inherited, that were transmitted to me. Since I teach the Holocaust and Memory, I have done deep reading in the transmission of traumatic memories, especially Holocaust memories to subsequent generations. It’s such a complicated topic. Like me, the children and grandchildren of survivors have a living connection to the memories that are passed on to us. Survivors’ memories become our memories. We also become imperfect vehicles on whom this history depends for survival. As we transmit it to the future, we filter this history through our own words, our own consciousness, and give it our own meaning. When that happens, have we betrayed the generation who told us these stories? TWM: What were your greatest satisfactions? EGF: The Seven was a very satisfying book to write. It is a literary memoir, so that style, voice, imagery, all of these elements kept my attention as much as the story itself. The style is unconventional, modernist, juxtaposing various elements and also times so that the story does not unroll in a linear way. I loved writing in this way. Once I found the voice for the book, that voice took over and did the writing for me! Telling this little-known story, getting it out into the world, was also a great satisfaction. The book is a way to add this chapter to the story of the Holocaust, one that reframes it in some ways since it is a story of exile. Once the Seven left their home in Warsaw, they never returned. They traveled half way around the world. They had to learn the language of each country they went to in order to earn a living, and never saw the family and friends they left behind. In each place they went, they had to figure out where to live and how to live. They could not take anything for granted. They were not citizens of the countries they found themselves in and so had very few rights and very little protection. They were always vulnerable. TWM: Is there anything you would have done differently? EGF: My one regret has to do with a small detail of description—with my uncle, whom I call Dov in the book. I describe him as having brown eyes. But my cousin, his daughter, pointed out that he had very, very blue eyes. If there’s ever an opportunity, I’ll change that detail. These things matter. I wrote this story to get it out in the world, but I also wrote it so that the generations that follow me know their history in as material and correct way as possible. TWM: How did you decide on an academic press as your publisher? EGF: I did try for a trade publisher, but all of my experience in publishing has been with academic presses. In the end, I went that way because I felt comfortable. It turned out to be a big advantage since academic publishers send manuscripts to experts for their comments. Through comments from historians, I learned a great deal about t. I’m a literary critic of modern American literature so I was happy for the advice and suggestions of the experts in that history. TWM: What did you learn about the Holocaust through your own family history that was perhaps not mentioned in any of the scholarship? EGF: When we read history books, the focus is on the general experience of people. What a memoir contributes is the history from the point of view of people who experienced it, so it’s much more varied and complicated. My uncle Dov described the Soviet gulag where my family was serving out their sentence of “banishment” almost as if it were a summer camp—although he suffered a great deal as well. Within the hardship, there was also music, dancing, friends, the adventure of a new place, new culture, and new romances. Writing about the Holocaust from an inside perspective, I learned so much about the textured, lived experience. The Seven were so lucky since theirs is a story of survival. But their fortune also reminds me of the rest of the family who didn’t leave Warsaw for the USSR and were murdered in Treblinka or in Warsaw. TWM: Please talk about your visits to your family places. How did they inform your writing? EGF: One place I visited was Brest-Litovsk, where my great uncle harbored the seven refugees from Warsaw, Poland—including my father and his two brothers and my father’s girlfriend Lola who would become my mother. Going there, I felt like I was “returning,” but the natives treated me like a stranger, a foreigner, which I was. It gave me a sense of what my family must have felt time and time again as they were pushed from one place to another. Each time they had to begin again as strangers, foreigners amongst natives who looked upon them with suspicion, and each time they had to learn the native language. There’s was an experience of exile. They never got to go home again, and I don’t think they ever felt at home again. Loss was always at the center of their identities. TWM: Which authors inspire you? EGF: The tone of my book was influenced by Art Spiegelman’s Maus I and II. His graphic memoir is both about his father’s experience and about his own relationship to his father’s story and his father, a Holocaust survivor. It talks about the transmission of memory and trauma and how the pain and stories move through the generations. I was also influenced by Virginia Woolf who said that women writers have to undo their social programming that encourages them to please people and not offend. To be a good writer, you have to try and tell the truth and not just say what people want or expect to hear. TWM: Any words of advice for those writing family histories/memoirs, especially related to the Holocaust? EGF: Write the book and if there are people to interview, to talk to, do it now! There are so many untold stories, and if anyone reading this blog has access to one, get it out into the public. Each story counts. This entry was posted in Authors and tagged Ellen G. Friedman. Ellen Friedman, Holocaust family memoir, the seven, wayne state university press. Bookmark the permalink. “So many untold stories.” Thank you for sharing yours. And Barbara, thanks for this interview. Thanks, Anna. I heard Ellen speak at the Princeton Public Library earlier this year and was intrigued by the story. My own great-uncle traveled east through the Soviet Union to Uzbekistan-Bukhara. He was the only sibling of my grandfather who survived the Holocaust (other than a brother who came to America in 1926). He settled in Palestine/Israel after the war after an attempt to reclaim his home in Poland. I hope you will write your own family story. This aspect of the Jewish Holocaust experience is still not well known. One day, when I’m finished with my PhD. My main informant has already passed on. She was born after the war in Poland, was raised in Israel, and then immigrated to America. For her, there was never a kind of diaspora. My grandfather left Poland in 1913 and his father disowned him. Some of his siblings died in a cholera epidemic in 1899. His next older brother came through Canada to New York – must have been after their father died. I have the death announcement from the eldest (who was killed in 1939) in Yiddish. Ellen, you approached the writing with such caution, consideration, and consciousness. Mazel tov on the publication. Thank you, Evelyn. I appreciate your comment and wishes!